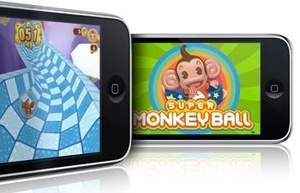 The App Store: Can it be worth $1 billion to Apple by 2010 with 70 percent free apps? As with everything else iPhone, there’s been a great deal of speculation following the Worldwide Developers Conference regarding the App Store, where Apple intends to sell and distribute third-party applications. There’s been talk of the grand opening being in July and at the end of June. Details continue to trickle out about how the store will operate. And “overnight” polls indicate the App Store will mean hundreds of millions of dollars in revenue, perhaps even a billion, for Apple by the end of 2009. One thing puzzles me, though: How can Apple potentially make $1 billion from the App Store by the end of 2009 when it’s estimated by some that 70 percent of the third-party applications will be free? For now, here’s a quick look back at some of the App Store news following the WWDC keynote. At the WWDC keynote, developers kept mentioning that their applications would be available in early July or when the 3G iPhone becomes available. We all assumed, then, that the App Store would open for business July 11, the day iPhone 2.0 is set to arrive amid much fanfare. But then came word via Apple’s Austrailian iPod Touch page that the App Store would cut ribbon on June 27. Maybe. Maybe not. That’s being disputed and it looks like the App Store will debut most likely on July 11. Why would the App Store debut two weeks before the 3G iPhone? For everybody to sit back and ooh and aah over apps they will not be able to use for 14 more days? To build up hype (as if the iPhone needs any more)? For iPhone 1.0 and iPod Touch owners to get the 2.0 software upgrade first, allowing them access to the store as a reward for plunking down huge amounts of cash for the first phone? In the end, when the App Store arrives doesn’t matter. Like Christmas for young kids, the App Store will get here, just like Santa. In the meantime, we can sit tight and dream about the toys we want under the tree. As has already been reported, developers will keep 70 percent of an application’s price. Some pundits have complained that this is unfair to developers, but when you consider that Apple takes care of the marketing and bandwitdth, it doesn’t look like a bad deal. Think about the power of iTunes: Go to any music event and the lead singer inevitably announces that CDs and T-shirts are available for purchase at the table in the lobby and for download at the iTunes Store. No one has said their music is also available on AmazonMP3 or Napster. The same may be said about the App Store. 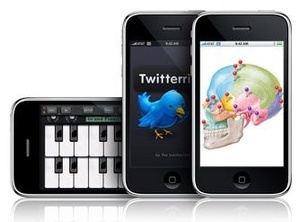 Like musicians and podcasters, software developers will have a mature, well-branded, well-promoted storefront for their iPhone programs and, in many cases, for their Mac or PC programs as well. Two other application notes: File sizes are said to be 2 GB, which is fine. The smaller — read: more efficient — files hopefully will not endanger the iPhone’s overall performance and user experience. Apple will also refuse to sell content or games that merit an “adult” rating, but that doesn’t mean you won’t be able to find these elsewhere on the Web. Hallway analysis at conferences is by no means accurate, so Munster’s projections may be totally inaccurate. Even so, it does point the finger at the free vs. paid argument. That will be an interesting one for months to come; ultimately, the consumer decides. Free applications will draw iPhone and iPod Touch owners into the App Store, where they will experience the process of searching for a program, downloading it, and installing. If Apple is true to form, this will be super easy and pain free. If all goes well, consumers will come back and buy an app or two that interests them. With tens of millions of iPhones expected to be sold, especially with the cheaper $199 and $299 price tags, Apple could make huge profits from software. Munster contends the App Store could “balloon” into a $1 billion market by the end of 2009, adding anywhere from 1 to 3 percent of operating income to Apple’s ledger. Munster based his prediction off the adoption rates announced at the WWDC for the iPhone existing services. “Mobile service adoption rates show that iPhone owners are more sophisticated mobile users, likely a result of both the user profile and the device itself,” Munster told clients. “The bottom line is that we expect similar adoption of the App Store to other advanced services.